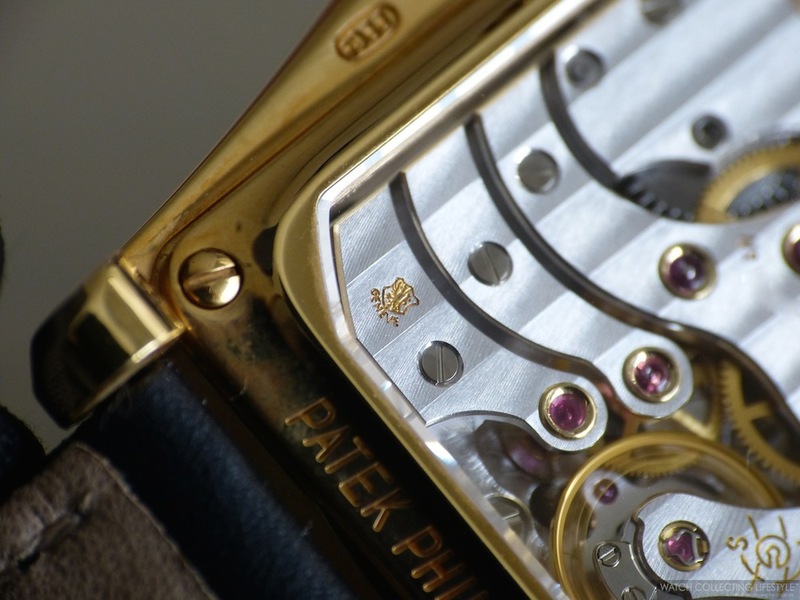 Rare Bird: Patek Philippe ref. 5100 10-Day Power Reserve. A Very Special Timepiece Launched to Welcome the Millennium in The Year 2000. To celebrate the arrival of the new millennium in the year 2000, Patek Philippe created a limited edition series of 3,000 watches under the ref. 5100. Of these 3,000 watches, only 1,500 were made in 18K yellow gold with white dial, 300 in platinum with black dial, 450 in 18K white gold with blue dial and 750 in 18K rose gold with a brown dial. This watch featuring an entirely new chronometer movement with a 10-day power reserve represented a first in the history of watchmaking. This manual wound rectangular chronometer fitted with caliber 28-20/220 features a power reserve indicator and subsidiary seconds and was issued with a unique individual rating certificate issued jointly by the C.O.S.C. —Contrôle Officiel Suisse des Chronomètres–, Switzerland's official chronometer certifications bureau and the Geneva Seal Institute. 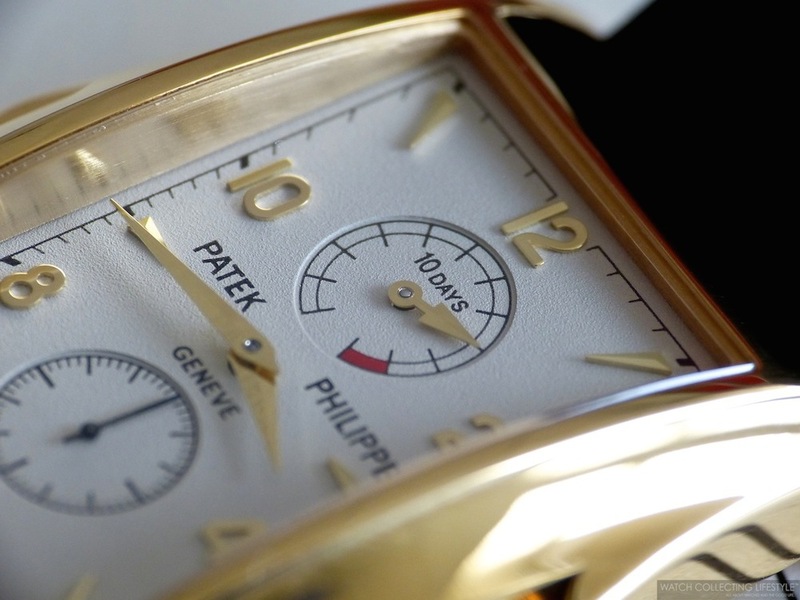 This is one of those Pateks that one rarely comes into contact and that most collectors forget about. Therefore, we decided to honor one of the most impressive timepieces ever manufactured to celebrate the arrival of the new millennium 14 years ago. This fascinating watch featuring a rectangular case shaped on its sides in a way were it would recall the lines of a manta-ray, features a white dial with applied Arabic numerals, a power reserve indicator at 12 and a subsidiary seconds register at 6 o'clock. The beautiful dial is elegant and distinctive with the characteristic touches of Patek and fitted with yellow gold dauphine hands. Fitted with one of the most unique cases we have seen across Patek Philippe timepieces, this watch was sold accompanied by a silver commemorative coin featuring the iconic sculpture located at the Patek Philippe manufacture in Geneva inaugurated in 1997. The coin was presented along with a small presentation stand perfectly suited to decorate the owners credenza in that corner office. This exceptional timepiece not only welcomed the third millennium but also marked an important milestone in the history of Patek Philippe and the horological world. 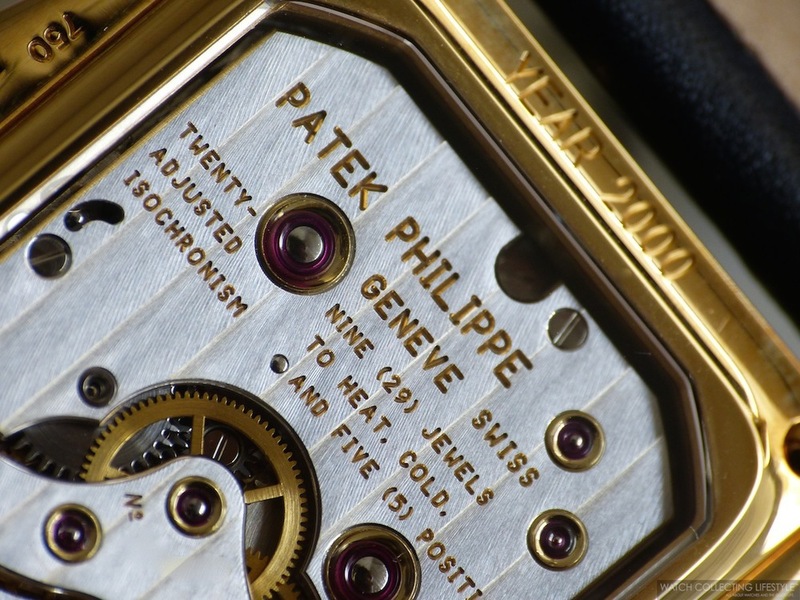 Its unique lines and irreverent design, house one of the most advanced calibres ever developed by Patek Philippe and one that is somewhat under appreciated by watch collectors. The case back allows for full view of this magnificent calibre fitted with 29 jewels and the astonishing finish and advanced design that only Patek Philippe can deliver. If you happen to come across one of this rare timepieces, pay attention to its capricious lines and admire the horological prodigy that its calibre represents. Vary rarely one runs into a timepiece with a magnificent 10-day power reserve. Approximate Sticker Price at Auction $35,000 USD. 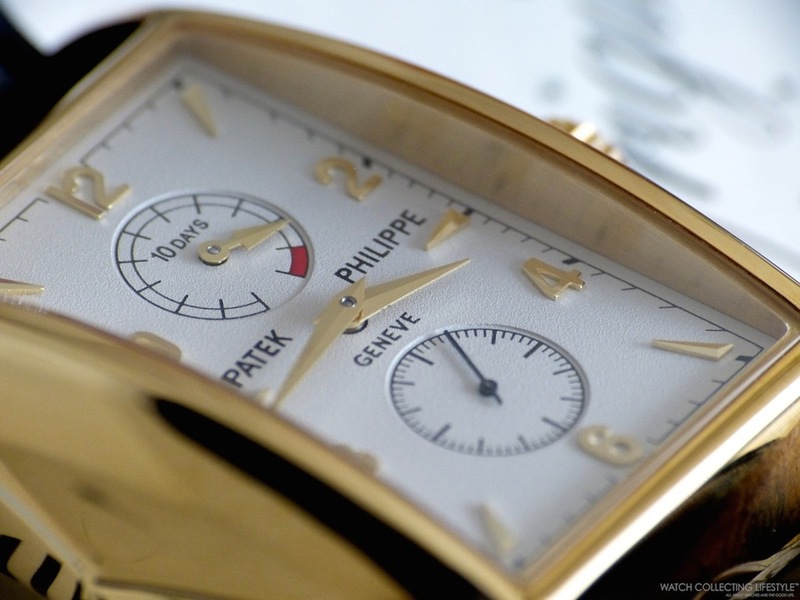 For more info on Patek Philippe click here. Posted on May 20, 2014 by Editor & Publisher and filed under Patek Philippe and tagged Patek Philippe ref. 5100 Millennium Patek Philippe Calibre 28-20/220.